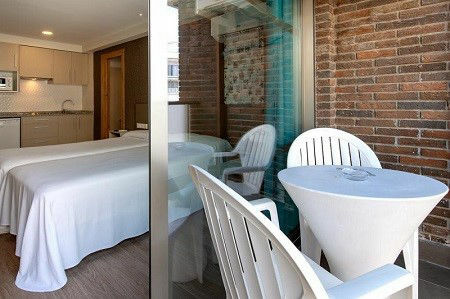 Popular Gay Village hotels listed here are a short walk from the bars. 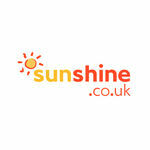 Use the interactive map to find the top deals and top prices, just add your dates. BIG Gay Benidorm Holidays (updated 2019). SEE OUR RECOMMENDED Hot Pick 2019 upgraded 4 star Voramar hotel. 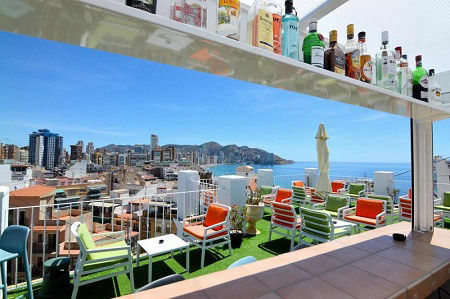 NO 100% Gay only Hotels in Benidorm, BUT here are the best hotels closest to all the fun. 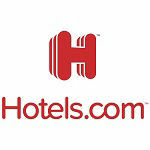 A new upscale old town hotel offering soundproofed deluxe and superior rooms. 1st floor roof top pool and sundeck. 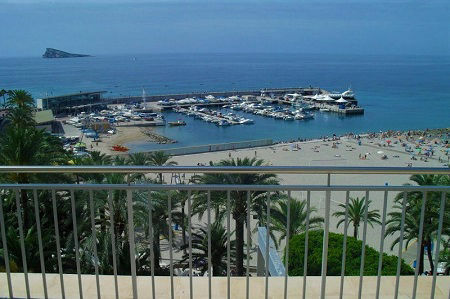 Located just 250m from the beach. 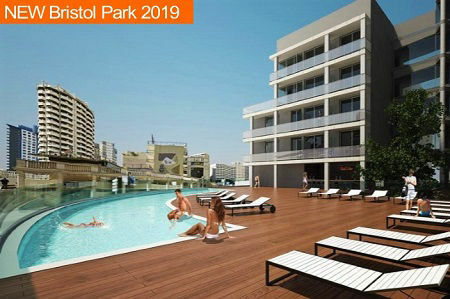 The Bristol Park, is a newly built hotel. 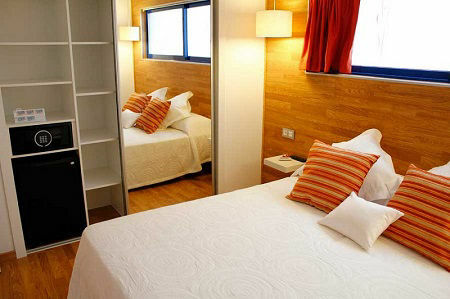 BEST SELLER small city hotel right in the heart of the "Casco Antiguo". Family run and very friendly with breakfasts rated superb. Homes baked bread and pastries. Roof top solarium. 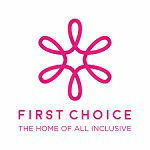 TOP CHOICE - WE SAY YES! Welcoming gay guests for many years. Refurbished (2017). 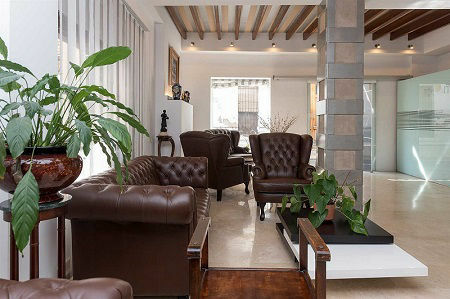 Popular with single guests who like the central location. 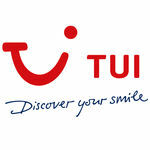 Friendly staff and English Breakfast. Roof top bar/sun deck Adult only. 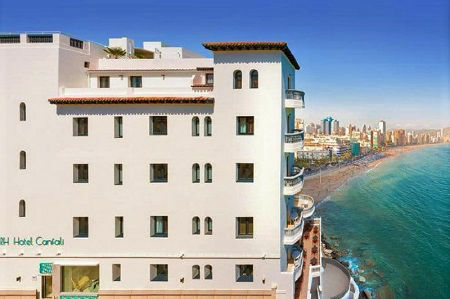 40 superb renovated rooms with city views, sea views and some with balconies. Enjoy breakfast in the new D-VORA Gastrobar. Great cliff-side location. 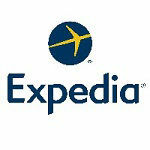 Certain to become a Gay Holiday hotspot hotel. Always Busy. 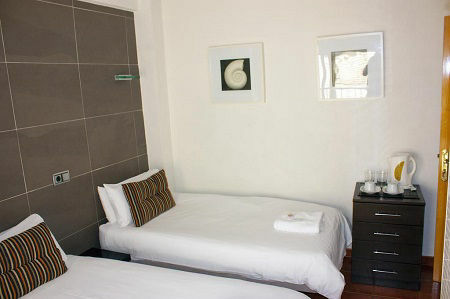 Smart comfy cosy rooms in this ever so popular Guest House. Plus one of the busiest day and night gay bars underneath you! Great for a short gay break. Very Gay Friendly. Right on the sea front and totally refurbished in 2015. Superb apartments and studios. Great for couples or singles. Overlooking the gay area of the beach. Not all with views or balconies so check before booking. 2019 UPGRADED TO A 4 STAR. All new bar, restaurant, lounge and restaurant. 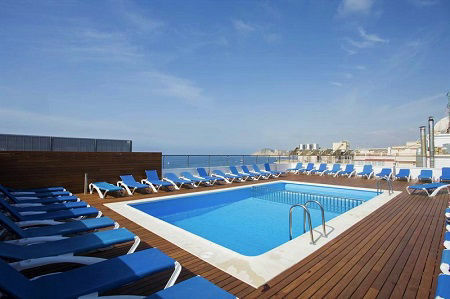 Superb roof top (summer) pool, sun deck and bar. Great for single guests. Good choice for B&B. Gay Friendly. 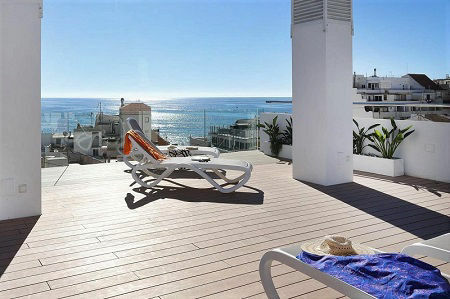 Bright refurbished rooms a terrace café bar and a top floor sun deck with Jacuzzi pool. 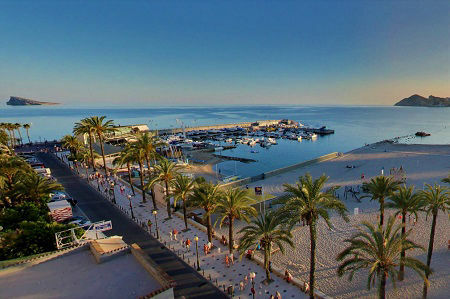 Just around the corner from the gay scene, the beach and main shopping area. A pretty good location to be honest. New apartments just at the top of the old town offering a perfect location as a base for the gay village which is just down the lane. Only 8 apartments so book early. Keys are at Hotel Queens. 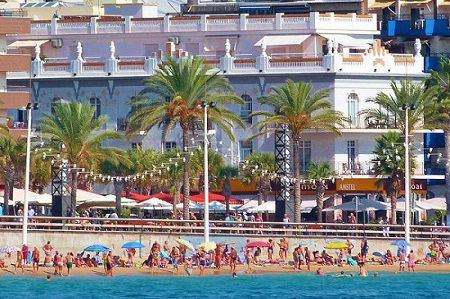 Tanit hotel is in a fantastic location by the park and harbour right by the beach and only two minutes walk from the center of the gay area. Great for Tapas bars! 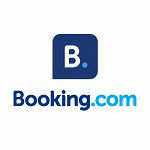 Decent single rooms here, very affordable. 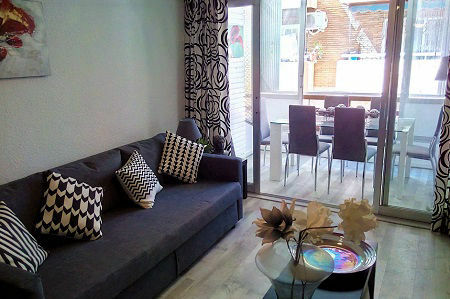 A refurbished two bedroom apartment in the old town close to bars and a short walk from the. Sleeps up to 6 guests. Air con. Full kitchen with oven and hob. Good reviews from previous guests. 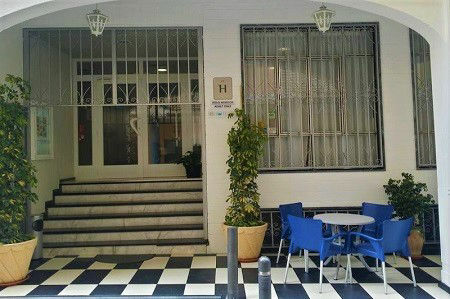 One bedroom apartments and compact studios in an historic (1928) building on the Playa Levante beach in the old town. Some are sea view, some are street view. NOTE: Not all sea views some are street view. 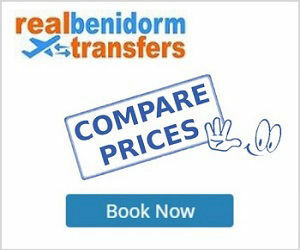 Totally refurbished to a high standard in 2018 the 2SLEEP Benidorm studios are perfect for single travel or for couples. 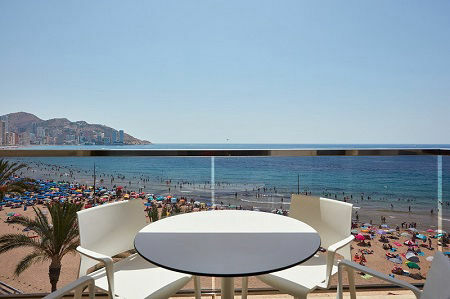 Ex-Estudios Benidorm, sure to be popular given the hot spot location and stylish revamp. 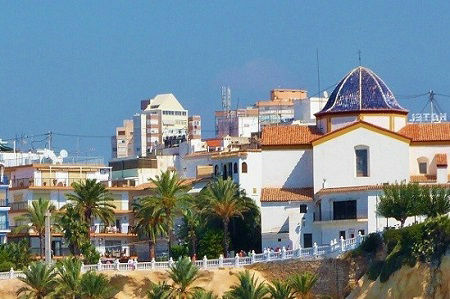 Overlooking the harbour, park and Poniente beach. A 5* location at a 2* price. 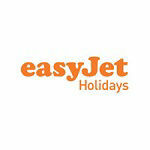 Ideal for a relaxed week on the beach to enjoy a gay holiday in Spain. Simple rooms many with sea views. Beach 3 seconds walk! Make sure you pay the little extra and book one of those sea view rooms!